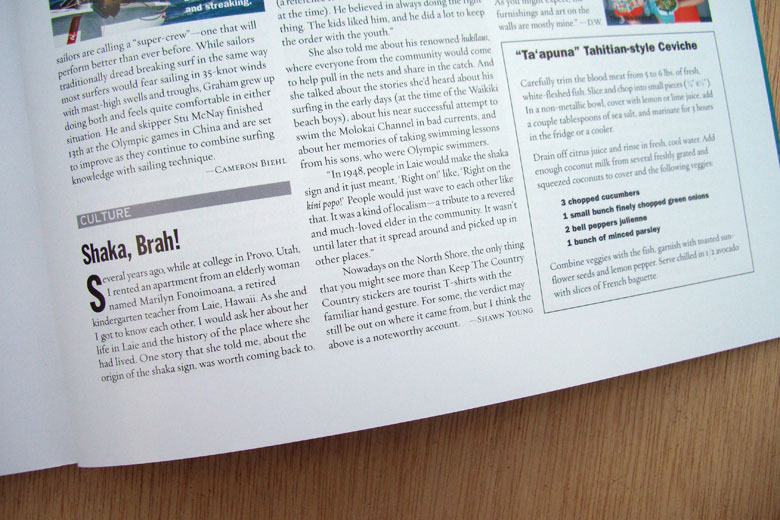 The following short piece appeared in The Surfer's Journal, vol. 17, no. 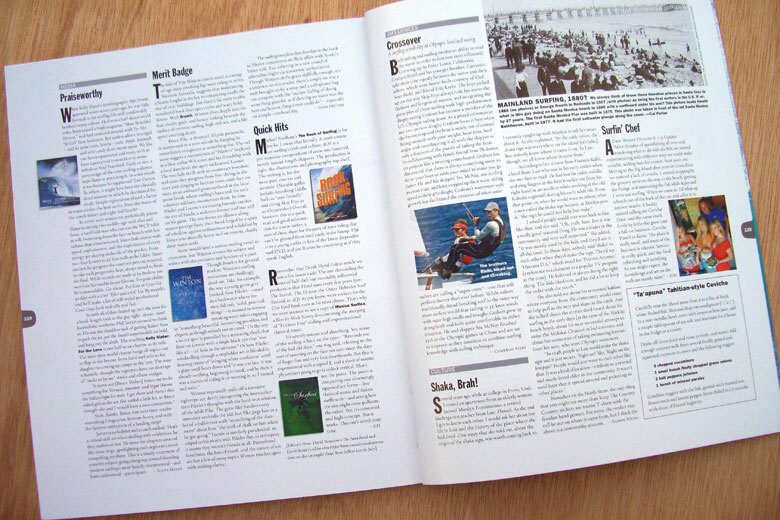 6, which came out in November 2008. It retells an account of where the familiar “shaka” sign—which is widely associated with Hawaii and surfing—originated from. As I later discovered in further research on the subject, this was just a small part of the story. Since the publication of this small story, I've been working on a book on the subject. If you'd like to learn more, please visit the website hamanakalili.info, and sign up for the newsletter while you're there. I don't send out messages often, but I'll keep you updated on the book's development. 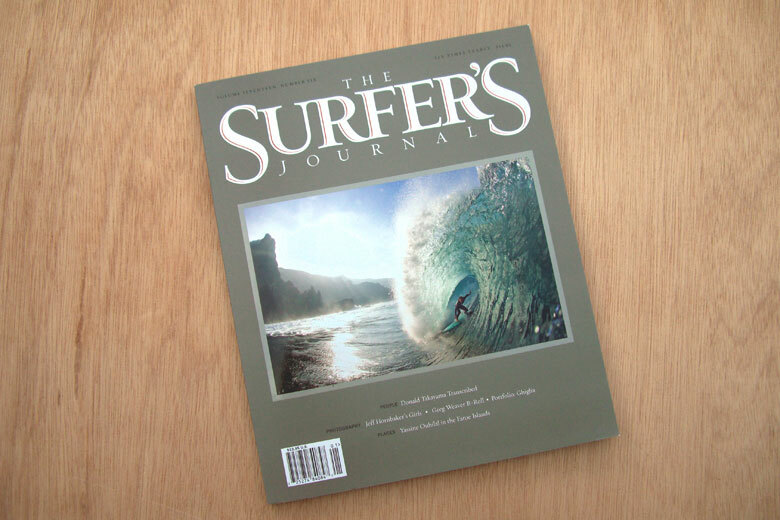 As a side note, the editorial staff at The Surfer's Journal has done a great job with this magazine over the years, and it was a real honor to have a small part of my work printed in such a first-class publication. Several years ago, while at college in Provo, Utah, I rented an apartment from an elderly woman named Marilyn Fonoimoana, a retired kindergarten teacher from Laie, Hawaii. As she and I got to know each other, I would ask her about her life in Laie and the history of the place where she had lived. One story that she told me, about the origin of the shaka sign, was worth coming back to. She also told me about his renowned hukilaus, where everyone from the community would come to help pull in the nets and share in the catch. And she talked about the stories she‘d heard about his surfing back in the early days (at the time of the Waikiki beach boys), about his near successful attempt to swim the Molokai channel in bad currents, and about her memories of taking swimming lessons from his sons, who were Olympic swimmers. Nowadays on the North Shore, the only thing that you might see more than Keep The Country Country stickers are tourist t-shirts with the familiar hand gesture. For some, the verdict may still be out on where it came from, but I think the above is a noteworthy account.